Adobe After Effects is a powerful and comprehensive program intended to create visual effects and motion graphics. You can use After Effects tools to produce dynamic designs for any type of video and motion picture production. This course will help you to understand the key concepts and features to master the program. It includes many advanced features, including tips and tricks using the latest edition or a previous version. This Adobe After Effects training enables the student to create motion graphics and visual effects, while learning the functionalities of the software. Since the purpose of Adobe After Effects is to focus on the sequence of shots and pace, this course will allow you to make your own videos or movies. 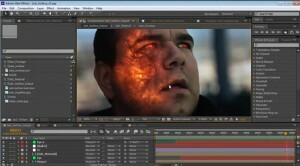 This After Effects private course teaches your to produce special effects for your video productions. The course truly meets your specific needs in this area. This customized course offers you the opportunity to deepen your knowledge of video editing, at your own pace. The flexible schedule is planned in accordance to your availability.